An artist’s impression of the extension to St Vincent De Paul Residence. The government has again insisted on refusing a request to publish a multi-million public contract on a controversial extension of St Vincent De Paul, turning down a judicial protest filed by the Democratic Party. In a reply to a judicial protest requesting full transparency on behalf of the government, Family Affairs Minister Michael Falzon and his Parliamentary Secretary, Tony Agius Decelis, argued that they won’t publish the contract as it is currently under investigation by the Data Protection Commissioner following a request for publication filed by the Times of Malta. Parliamentary Secretary Tony Agius Decelis. Denying claims by PD leader Godfrey Farrugia that there was a clear abuse of public procurement rules in the way the tender was adjudicated and pushed forward, the government said that the former Labour minister should have waited for the final decision of the Data Protection Commissioner. This latest development follows a decision made by the same ministry last year, refusing a Freedom of Information request by this newspaper for a full copy of the controversial contract which will see the disbursement of €274 million of taxpayers’ funds to James Caterers and a subsidiary of the Seabank db Group over 10 years. 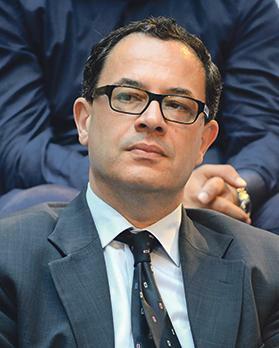 At the time, the ministry argued that it could not publish the contract as it included “personal data” and would create prejudice to the competitiveness of the private consortium. The Times of Malta had requested an investigation into the ministry’s refusal to publish the contract, arguing that it goes against the Freedom of Information Act as its publication was in the public interest. The controversy goes back to a 2015 public tender asking for the provision of meals at the old people’s home facility for the duration of 10 years and the building of a new kitchen. The original value of the tender was €60 million. Two bids were received with the one submitted by the CCE joint venture – owned by the Vassallo Group being the cheapest when it came to the contents of the services required. However, the contract was awarded to the competing bidders, a consortium made up of James Caterers and the Seabank DB Group subsidiary, on the basis of an innovative tender clause asking for an “additional investment” in the form of a “gift” to the government for winning the tender. The winning bidders ended up offering a €30 million “gift” over a €60 million contract. After winning the bid, James Caterers and the Seabank db Group subsidiary, entered into new negotiations with the government, offering a better “gift” in the form of an extension of a 500-bed extension to the facility to be built on public land. In return, the government agreed to pay the consortium €274 million for the contract, including the leasing of various services at the new facility, which the winning consortium offered as a “gift” to the government. In this way, the value of the €60 million tender surged by more than four times to the benefit of James Caterers and the Seabank db Group. 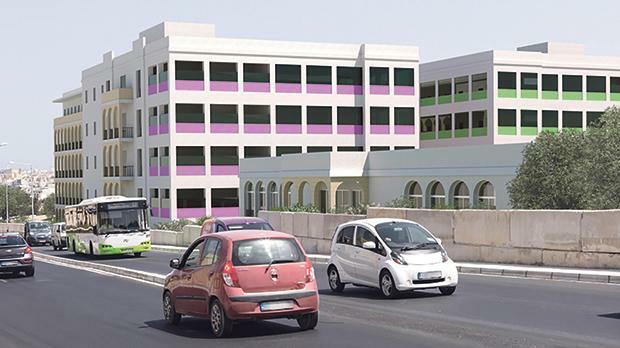 Following request by the Democratic Party and the PN, the tender had been referred for an investigation by the National Audit Office. The government’s reply to the judicial protest was signed by Dr Nadine Lia – also engaged as a person of trust of Economy Minister Chris Cardona.